Update: "Army Kidnaps 27 Palestinians In The West Bank"
The Palestinian Prisoners Society (PPS) has reported that Israeli soldiers kidnapped, Monday, 27 Palestinians, in different parts of the occupied West Bank, during extensive military invasions and violent searches of homes. The PPS said the soldiers kidnapped six Palestinians from the southern West Bank district of Hebron. They have been identified as Mohammad Arafat al-Qawasma, Yousef Wahid Abu Fara, 25, Taqieddin Jamal al-Hour (his father Jamal is also a political prisoner,) Fadi Mohammad Eghneimat, 33, Rami Haddoush, Shadi Assem al-Hashlamoun, 23. In the northern West Bank district of Nablus, the soldiers kidnapped six Palestinians, identified as Mojahed Mohammad al-Qutub, Nasr Sha’ban Hanani, Amir Ibrahim Nasasra, former political prisoner Maher Khattab, Ala’ Ayyad and his brother Adnan. In the northern West Bank district of Jenin, the soldiers kidnapped Ahmad Hafeth Sa’aida, 17, Ahmad Bilal Abu ar-Rob, Amir Kamal az-Zarra, Ahmad Ali Summoudi, 16, and Sameh Hasan Summoudi, 16. In the central West Bank district of Ramallah, the soldiers kidnapped three Palestinians, identified former political prisoner Abdul-Qader Kayed Hammad, 32, in addition to Ibrahim Misbah Suleiman, 20, and Mohammad Mahmoud Omar, 20, from Beit ‘Or at-Tihta town. In occupied Jerusalem, the soldiers kidnapped Taha Abu Khdeir and Abed Mansour Abu Khdeir, from Shu’fat, in addition to Ahmad Abu Diab and Abdul-Rahman Abbassi from Silwan town. Israeli forces physically assaulted an entire family in the occupied East Jerusalem village of al-Eesawiyya, overnight Sunday, after the family resisted during an arrest raid, the head of the village said. Darwish Darwish said that Israeli forces stormed the home of Tareq and Tahreer Darwish, with the intention of detaining the couple's sons Yousef, 18, and Laith, 17. The two teens, along with their father, resisted the detention, and Israeli forces attacked the three, beating them. Darwish said the family told him that when Israeli forces began beating the father and two brothers, other members of the family stepped in and tried to stop Israeli forces, who then turned on the rest of the family. According to the mayor, the mother, Tahreer, 37, her daughter, Batoul, 14, and 2-year-old son Darwish all suffered from bruises and lacerations all over their bodies. 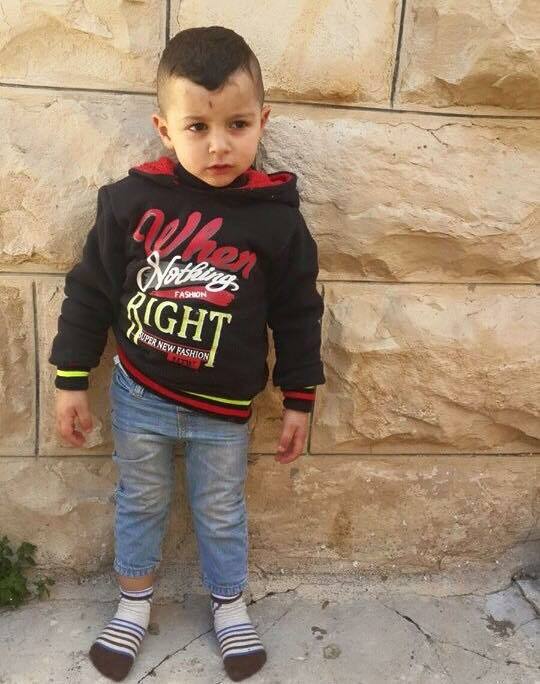 Israeli forces detained the entire family, including the toddler, after the assault. The family was detained while still barefoot and in pajamas, the mayor said. Darwish added, according to Ma'an News Agency, that Israeli forces ransacked the family home, destroying valuables, before taking the family to a police station in the Sheikh Jarrah neighborhood of occupied East Jerusalem, and then transferring them to the Salah al-Din police station near Damascus Gate. After four hours of detention, Israeli forces released the mother and her young son, but kept the rest of the family, including the 14-year-old daughter, under detention. The 17-year-old son Laith is set to appear in Israeli court for a trial on Monday. The charges levied against him are unknown. While the mayor shares a last name with the family, Darwish is one of the most popular surnames in al-Eesawiyya village, and the family is not necessarily directly related to the mayor. Israeli soldiers invaded, on Monday at dawn, a Palestinian home in the al-‘Eesawiyya town, in the center of occupied Jerusalem, and abducted an entire family, including an infant, to pressure a 17-year-old sibling to surrender. Raed Abu Ryala, a member of the Follow-Up Committee in al-‘Eesawiyya, said the dozens of soldiers invaded the town, and surrounded the home of Tareq Darweesh, before invading the property and violently searching it, causing property damage. He added that the soldiers assaulted the parents and their kids, before abducting them, and took them to the al-Maskobiyya interrogation center in Jerusalem. Besides the father and the mother, the soldiers kidnapped their son, 16, their daughter, 14, in addition to their two years of age toddler. Abu Ryala added that the soldiers were questioning the family about the location of their son, Yousef, 17, as they wanted to kidnap and interrogate him, but he was not at home at the time of the invasion. The soldiers then decided to hold the entire family captive, as a means to pressure their son to turn himself in, to the police. A Palestinian worker was injured Monday afternoon by Israeli gunfire east of Beit Hanoun to the north of the besieged Gaza Strip. Local sources told the PIC news reporter that Israeli occupation forces stationed at the eastern border areas opened fire towards Palestinian lands, injuring a 26-year-old young man. The injured was immediately taken to al-Awda Hospital for treatment, the sources pointed out. Meanwhile, Israeli navy forces arrested nine Palestinian fishermen off the shores of Gaza. 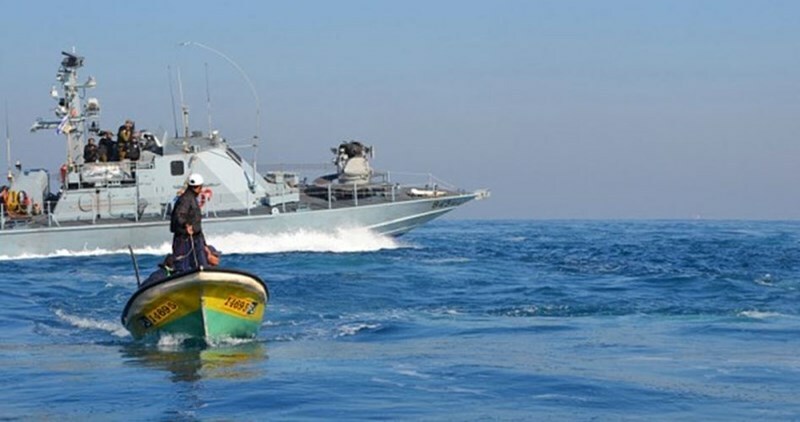 Spokesperson for the Palestinian police affirmed that a number of Israeli war boats had surrounded two Palestinian fishing vessels before escorting them to Ashdod port. Nine fishermen, who were on board of the two confiscated vessels, were arrested during the attack. The Israeli attack was carried out within the allowed fishing zone estimated at six nautical miles, the spokesman affirmed. Earlier Monday, Israeli navy forces opened fire at Palestinian fishermen while sailing off Gaza shores but no casualties were reported. Israel has routinely violated the ceasefire agreement reached on August 26, 2014 under Egyptian mediation. Its violations caused the deaths and injury of dozens of people, mostly fishermen. The Israeli Occupation Forces (IOF) arrested Monday two Palestinian brothers allegedly responsible for a series of shooting attacks in al-Khalil that wounded four Israeli soldiers and settlers. The Israeli sources identified the detainees as Nasser Faisal Muhammad Badi, 23, and Akram Faisal Muhammad Badi, 33, from the southern West Bank city of al-Khalil. The army said the brothers had used an "improvised sniper rifle," as well as another rifle, to carry out the shootings. According to the Israeli allegations, four Israelis were injured during a series of alleged shooting attacks in different areas. The first alleged shooting attack was carried out in the Old City near the Ibrahimi Mosque on Nov 6, 2015. Two settlers were seriously injured during the attack. On Nov 26, 2015, they allegedly carried out another attack targeting an Israeli vehicle near the Ibrahimi Mosque, which resulted in no injuries. On Jan. 3, the two detainees carried out a third shooting attack, that left an Israeli soldier severely wounded, the Israeli sources claimed. A second Israeli soldier was slightly injured during a fourth attack at a military checkpoint near al-Khalil, according to the sources. 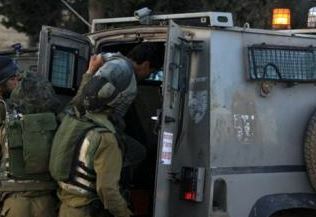 The Israeli Occupation Forces (IOF) carried out at dawn Monday dozens of arrests across West Bank and occupied Jerusalem. Six detainees were arrested in Nablus province including three from Beit Furik town east of the city. A number of houses were stormed and searched as IOF soldiers broke into different areas in Nablus city. Tight military restrictions were imposed on the city since the morning hours amid intensive flights of army choppers over the area. A Palestinian young man was also arrested from Jenin. In al-Khalil, IOF stormed at dawn today several neighborhoods throughout the city and arrested two locals including a 12-year-old child. Two other youths were arrested in Surif town while another was detained in Beit Ummar town after the confiscation of his vehicle. Three similar arrests were carried out in Occupied Jerusalem. Avaaz international human rights organization called on Hollywood's Oscar nominees to visit Palestinian children in Israeli jails and to speak up for their infringed rights. “This week’s Oscars are our chance to draw attention to the 500 Palestinian children who are suffering out of sight in Israeli prisons right now,” Avaaz said. According to the organization, more than 500 Palestinian children are imprisoned by Israel right now and many of them endure terrible abuse like beatings and harassment. “Most people around the world don’t know anything about their plight. But we have a rare opportunity to tell the world about Palestine’s imprisoned stars — its children,” it added. The group warned that the Israeli government is offering a $55,000 trip to Israel for Oscar winners, trying to use celebrities’ fame to whitewash its image in the eyes of the world. “But if thousands of us invite the stars to visit Palestine as well to learn about our child prisoners, then we can make this the story and create a media storm in Hollywood,” Avaaz further stated. The organization said Israel wants to use the endorsement of some of the world’s biggest celebrities to restore its international clout. “They want to hide the ugly face of the occupation behind photos of Hollywood stars on Tel Aviv beaches. The stars will be given an all expenses paid journey so that they can paint a rosy picture of Israel — and Palestinians will be hidden from sight,” Avaaz said. “This propaganda trip could become a win for the struggle for freedom and dignity in Palestine. We can show the world what happens to Palestine’s future stars, the children, who have their dreams shattered by Israel’s imprisonment policies. It’s impossible to see a child in prison and think they deserve their long sentence, or meet their family and remain indifferent,” the statement further read. “A free Palestine is within sight, but like the fight against Apartheid in South Africa, it will take international pressure to win,” Avaaz concluded as it urged activists around the world to sign an online petition to urge Hollywood stars to pop in the occupied Palestinian territories. The Israeli occupation forces (IOF) arrested 40 Palestinians after they injured them with bullet fire since the start of the anti-occupation uprising in early October, a rights group reported. Head of the Palestinian Prisoners Society (PPS), Abdullah al-Zaghari, said the IOF shot and injured 40 Palestinians before they arrested them shortly afterwards on allegations that they attempted to carry out anti-occupation attacks. According to al-Zaghari the injured arrestees have been subjected to mistreatment and torture in Israeli hospitals and lock-ups. Several of them have also gone through a sharp health deterioration as they had been exhaustively interrogated and left without urgent treatment for long hours. Two injured detainees had their legsamputated due to medical neglect while others were aggressively beaten to force confessions, the activist added. A PPS attorney who visited the injured Palestinians at the Ofer jail raised alarm bells over the agony they have been made to endure due to medical negligence. PPS head in al-Khalil, Amjad al-Najar, said 26-year-old Jawad al-Feroukh has gone through a sharp health deterioration and risks to have his right hand amputated due to the serious complications inflicted by bullet wounds sustained on December 12. 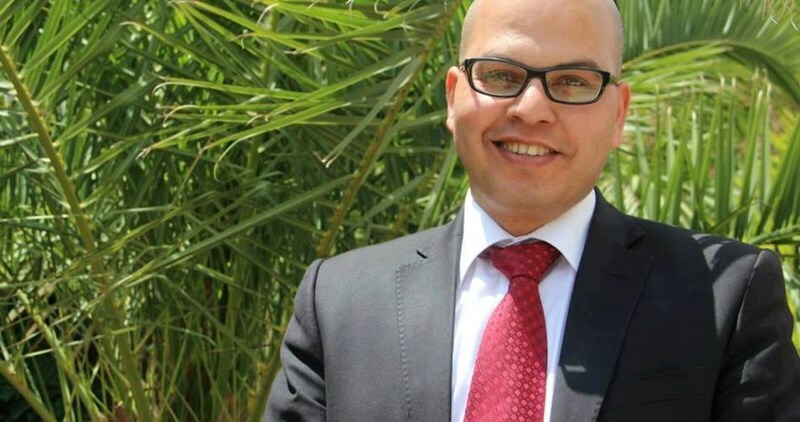 Al-Najar called on the International Red Cross Organization to work on providing the detainee, sentenced administratively to four months in the Negev prison, with urgent medical therapy before it is too late. Palestinian Prisoners Center for Studies revealed that 22 Palestinian detainees are suffering from cancer in Israeli jails. They have been detained for long years without being treated. The center’s media spokesman, Riyad al-Ashqar, said that the lives of cancer-stricken detainees are at real risk in light of the harsh detention conditions and the Israeli policy of deliberate medical neglect. They have been taking painkillers only, he highlighted. Many prisoners died because of cancer inside Israeli jails. The last case was that of martyr Maysarah Abu Hamdiya who suffered cancer for long years in captivity with no treatment. Nonetheless, Israeli authorities refused to release him to be treated outside of jail, which led to his death, Ashqar said. Among the prisoners who are currently struggling with cancer inside Israeli jails is captive Bassam al-Sayeh, from Nablus. He is held in Megiddo prison after being lately transferred from Ramleh prison hospital. Sayeh suffers from cancer in the blood and liver. His condition has critically worsened as he is complaining of problems in the lungs and breathing. Another captive is Sami Abu Diyak, 33, from Jenin, who is sentenced to life-imprisonment for three times. He is suffering from tumors in the intestines and infections despite cutting a large part of it. Severe inflammation while in Ramleh hospital has led to a sudden decline in his health condition. As a result, he entered a coma and was transferred to hospital. Murad Saad, 35, from al-Amari refugee camp and sentenced to 12 years, has been suffering from cancer for four years in Israeli prisons. He underwent a surgery to remove tumors in Soroka hospital but his condition has recently worsened to a large extent. He receives painkillers only and complains of severe pain and bleeding. Ashqar pointed out that a number of Palestinian prisoners who get cancer inside Israeli jails died very soon after they had been released. 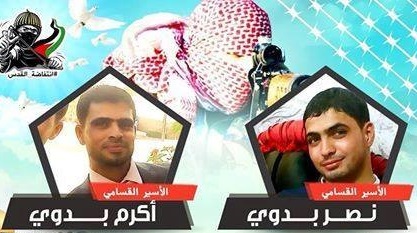 Martyrs of cancer who died that way include Fayiz Zaidat, Zakariya Issa and Hassan Turabi. Ashqar called on all the concerned with the issue of Palestinian prisoners to shed light on the suffering of cancer patients detained in Israeli jails and to work on their release before they lose their lives. He also called on all international institutions especially the World Health Organization and Doctors without Borders to work on releasing cancer detainees. 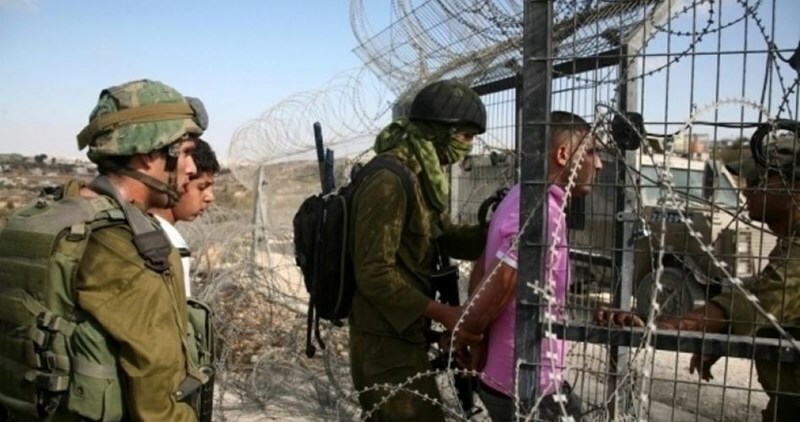 Israeli Occupation Forces (IOF) arrested Sunday evening a Palestinian youth for attempting to cross the security fence to the east of Khan Younis in the southern Gaza Strip. Quds Press quoted local sources as saying that IOF soldiers forced the arrested young man to take off his clothes under gun threat. The troops also took him to an unknown destination inside 1948 Occupied Palestine to be questioned by the Israeli Shin Bet officers. Sneaking into the 1948 Occupied Palestine by Gazans has been increased recently for the purpose of seeking work. Dozens of Gazan people have been arrested as a result. The lawyer of detainees and ex-detainees committee, Tareq Barghout, revealed that the Palestinian female captive Yasmin al-Tamimi, 21, was transferred, on Sunday, from Hasharon Israeli jail to hospital. In a statement, Barghout said that she was taken to hospital after she had suffered acute infection in her right arm due to being shot with several bullets by Israeli forces. There is a suspicion that she has gangrene, he pointed out. The lawyer added that she did not attend the court session because of her severe health condition. She underwent several surgeries in her arm and waist for removing bullets fired at her during arrest in al-Khalil on February 13. Israeli soldiers have kidnapped, on Monday at dawn, at least eight Palestinians, in different parts of the West Bank, and took them to a number of interrogation facilities and military bases. The army also demolished residential structures east of Tubas. Several army vehicles invaded the northern West Bank city of Nablus, searched homes, and kidnapped a young man, identified as Mujahid al-Qutub. The soldiers also invaded Beit Forik town, east of Nablus, and kidnapped two young men, identified as Amir Nasasra and Nasr Sha’ban Hanani. In addition, the soldiers also kidnapped Ahmad Bilal Abu ar-Rob, from Qabatia town, south of the northern West Bank city of Jenin, as he was working in al-Batouf, in the Galilee. Another Palestinian, identified as Ahmad Hafeth Sa’aida, was kidnapped after the soldiers invaded and ransacked his home, in the al-Yamoun town, northwest of Jenin. 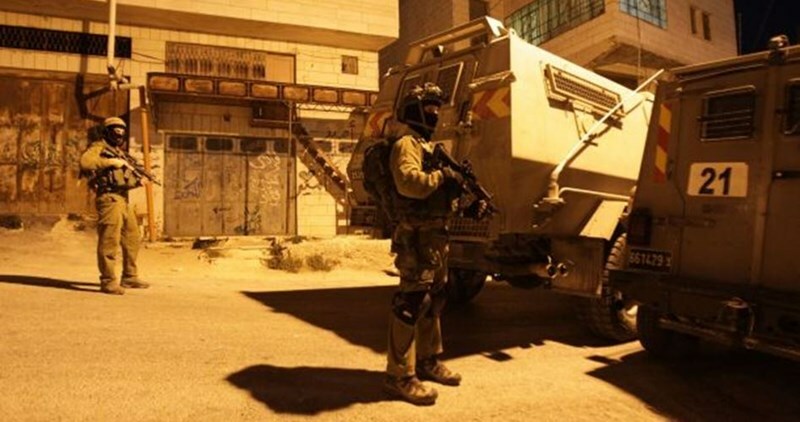 In the southern West Bank district of Hebron, the soldiers invaded and searched a number of homes in Hebron city, and Surif town, northwest of the city, and kidnapped three Palestinians. Media sources in Hebron said the soldiers kidnaped Mohammad Arafat al-Qawasmi, from his home in Abu Kteila area, in addition to Yousef Wahid Abu Farra, 25, and Taqieddin Jamal al-Hour, 23, from their homes in Surif. In related news, several army jeeps and bulldozers invaded the al-Farisiyya area, in the West Bank’s Northern Plains, east of Tubas, and demolished residential tents and structures, belonging to four families. The attack is the second this month. 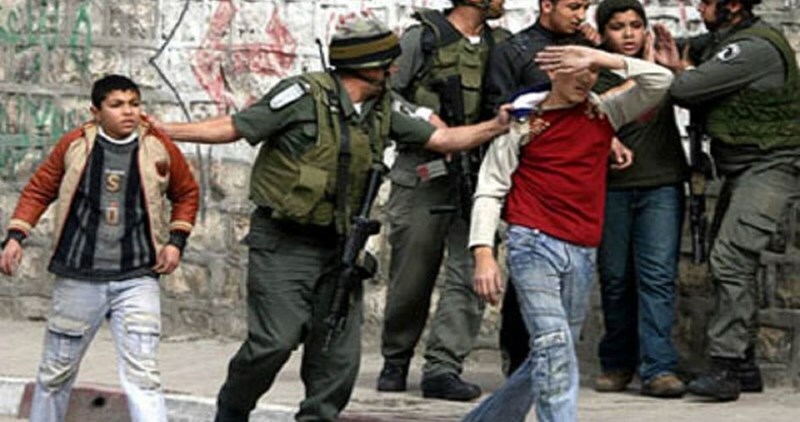 Israeli soldiers invaded, on Sunday evening, the town of Silwad, east of the central West Bank city of Ramallah, detained a child for several hours and repeatedly struck and beat him, causing various injuries. Resident Ahmad al-Kharraz said the soldiers abducted his brother, Soheib, only 13 years of age, for several hours, and that they repeatedly assaulted and beat him while interrogating him. He added that the soldiers stopped his brother near the town’s western entrance, and placed him in their military vehicle, before driving away. The child was also repeatedly beaten in the military vehicle, before the soldiers released him near Tormus Ayya village, north of Ramallah. Palestinian residents of Tormus Ayya saw the child, who suffered various cuts and bruises, and called for an ambulance that took him to a local emergency center. On Sunday at dawn, the army kidnapped a child, identified as Hamza Hammad, 15, in Silwad, and took him to a military base. Hamza is the son of Moayyad Hammad, who is serving seven life terms in an Israeli prison. Israeli soldiers shot, on Sunday, a Palestinian teen in the al-‘Eesawiyya town, in occupied Jerusalem, and kidnapped him. The army also kidnapped another Palestinian and invaded several neighborhoods leading to clashes. The Wadi Hilweh Information Center in Silwan (Silwanic) has reported that the soldiers invaded Abu Ryala neighborhood, in al-‘Eesawiyya, before storming and violently searching a number of homes, and used their rooftops as monitoring towers. Silwanic added that the clashes, that erupted in Abu Ryala neighborhood after the army invaded it, extended to Dari neighborhood and that the soldiers fired several live rounds and dozens of gas bombs. Medical sources said resident Mohammad Waleed Obeid, 19, was shot in the thigh with a Toto hollow bullet, which detonates upon impact while many residents suffered the effects of tear gas inhalation. The soldiers assaulted Obeid after shooting him, and dragged him onto the ground before he was moved to Hadassah Ein Karem Medical Center. Besides his gunshot wound, Obeid suffered a fracture in one of his legs, in addition to several cuts and bruises. The soldiers also removed his family from the hospital when they went there to see him. In addition, the soldiers kidnapped Khaled al-‘Abbassi, 19, as he was walking him in the Central Neighborhood, in Silwan town, after repeatedly kicking and beating him. Silwanic stated that dozens of soldiers were deployed in the neighborhood, on Sunday evening, and broke into a home, before searching it, and used it as a monitoring tower. It also said that the soldiers assaulted a young man, riding his bicycle in the area, after an Israeli settler’s car collided with a Palestinian car. The soldiers used excessive force to remove the residents, who gathered in the area, and sprayed their faces with pepper-spray. Israeli soldiers have kidnapped, on Sunday evening, a Palestinian teen from Beit Ummar town, north of the southern West Bank district of Hebron. The soldiers also shot and injured a Palestinian in Gaza. Media sources in Hebron said the soldiers stopped Hamza Ahmad Abu Hashem, 18, as he was driving on the main entrance of the town, kidnapped him after confiscating his car, and took him to the Gush Etzion military base, north of Hebron. The army also stopped and searched many cars, and questioned dozens of Palestinians while inspecting their ID cards. In related news, Israeli soldiers, stationed on military towers across the border fence, east of Gaza city, opened fire on several Palestinian farmers, wounding one. Eyewitnesses said the soldiers fired several live rounds on the farmers, who were working in their lands in the Sheja’eyya neighborhood, east of Gaza city, wounding one Palestinian. 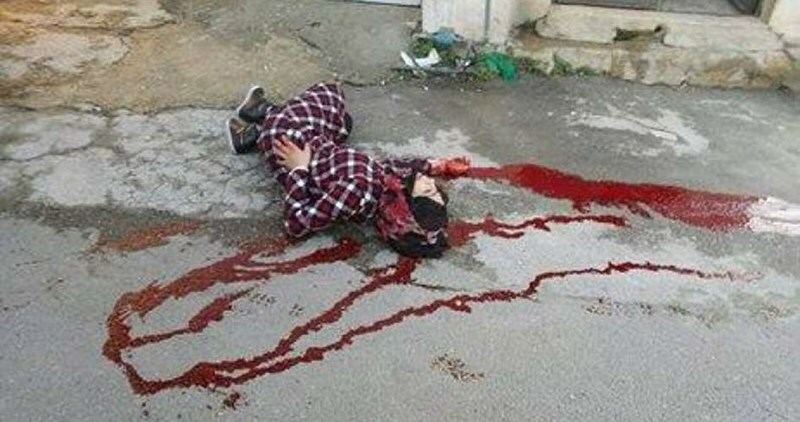 Medics rushed to the scene, and moved the Palestinian to a local hospital; his wounds were described as moderate. Three Palestinians, including a child, were critically injured Sunday as clashes broke out in Khader town south of Bethlehem, while a child was detained in Jenin. Medical and local sources reported that the clashes broke out when Israeli forces violently stormed the town amid heavy and random fire of live ammunition. A child was seriously injured after being directly shot in his chest, the sources added. He underwent an urgent surgery once he arrived at Yamamah Hospital after a bullet had pierced his back, according to the emergency doctor. The Israeli forces tried to storm the hospital to arrest him despite his difficult health situation; however, local youths prevented their raid. Two other Palestinians were injured including a doctor during the confrontations that erupted outside the hospital. The doctor was reportedly in a serious but stable condition. Along the same line, a 15-year-old child was arrested as clashes broke out in Yabad town southeast of Jenin, while dozens suffered the effects of teargas inhalation. Local sources said that the confrontations erupted when a number of Israeli army vehicles stormed the town amid heavy fire of teargas bomb and rubber bullets at the houses. A number of houses were violently stormed and searched during the raid. Another young man was also arrested in Beit Ummar town north of al-Khalil after the confiscation of his car. Silwan: A cigarette cost him five thousand NIS!!! 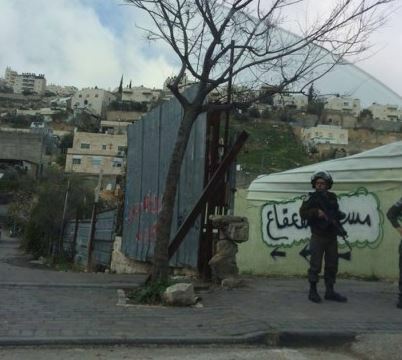 Occupation municipality crews and Israeli forces raided on Friday the neighborhood of Wadi Hilweh in Silwan. Wadi Hilweh Information Center explained that the occupation municipality raided the neighborhood of Wadi Hilweh since the morning hours and took pictures of vehicles parked on the street as well as areas designated for parking in an attempt to provoke residents after a police patrol had issued parking tickets in the early morning ranged between 250-600 NIS. The center added that a police patrol was stationed on Friday early morning in Wadi Hilweh Main Street and threatened to execute arrests under the pretext of throwing stones towards them; they issued traffic tickets to vehicles. 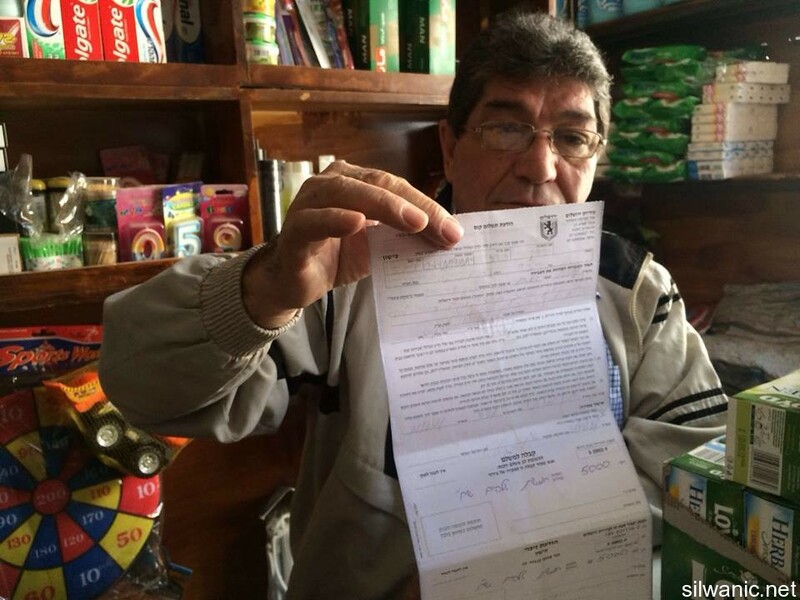 In a related matter, the occupation municipality issued Fayez Shweiki a 5-thousand NIS ticket because one customer was smoking inside his grocery store in Wadi Hilweh. The Jerusalemite merchant explained that a customer entered his store while smoking a cigarette and moments later the municipality crews raided his store and issued him a 5-thousand NIS ticket. On the other hand, the forces made all merchants in Ein Al-Lozeh in Silwan remove the merchandise displayed outside their commercial stores and threatened to fine them. They also established a checkpoint on Friday night in the neighborhood of Ein Al-Lozeh and searched vehicles and passengers’ IDs. In the neighborhood of Ras Al-Amoud in Silwan, limited clashes broke out between young men and occupation forces in Martyr Ayman Abbasi’s Street. The forces fired sound grenades and rubber bullets in the area after deploying in the streets and stopping passers-by and checking their IDs. Palestinian lawyer and leading activist, Farid Al-Atrash, who was taken into custody by Israeli forces on Friday, February 26, during a nonviolent demonstration in Hebron, will be sent to an Israeli court on Monday, February 29, for a hearing session. Farid was violently beaten and taken to the Jaabara police station in Kiryat Arba’ settlement, for participating in a demonstration that was a part of the 7th International Campaign calling for the reopening of Shuhada Street, the evacuation of Israeli settlers and military occupation, and allowing Palestinian free access, once again. According to lawyer Gabi Laski’s office, Israeli police said that they are not willing to release him, adding that he might be transferred to military prosecution. Al-Atrash is a Human Rights Defender and Chairman of the Independent Commission for Human Rights in Bethlehem. Israeli law allows police to detain activists up to 96 hours, and so Farid’s hearing was supposed to take place on Tuesday, March 1. However, the commission demanded an urgent hearing that will take place one day earlier, on Monday. Farid’s colleague, Lawyer Alaa Ghanayem, said that the commission has been following the case since the moment Farid was detained, saying that it is yet another violation against human rights defenders who should be protected by the 1998 conventions, especially in that they follow the nonviolent protest approach. Ghanayem valued the attempts of his fellow lawyers, the Palestinian Prisoner Affairs committee, the United Nations High Commissioner’s office and the Red Cross, for their concerns regarding Al-Atrash’s case. Farid is part of Popular Struggle Coordination Committee (PSCC), which presents community-based resistance rooted in a belief in the power of nonviolent struggle, taking various forms, such as strikes, protests, and legal campaigns, as well as supporting the call to Boycott, Divestment and Sanctions. The Coordination Committee facilitates communication between various villages involved in struggles against the Wall, ethnic cleansing, settler expansion, and various aspects of Israeli Occupation. On Friday, PSCC condemned the attack and arrest of Al-Atrash, and demanded immediate action to be taken to release him from prison. PSCC stated that it was concerned about the detention, which solely relates to his legitimate and peaceful human rights activities in the occupied Palestinian Territories. Furthermore, PSCC expressed concerns at the continuous jailing, harassment and prosecution of human right defenders and activists. Several Palestinian protesters have been arrested at dawn Sunday in an abduction sweep launched by Israeli occupation forces (IOF) across the occupied West Bank and Occupied Jerusalem. 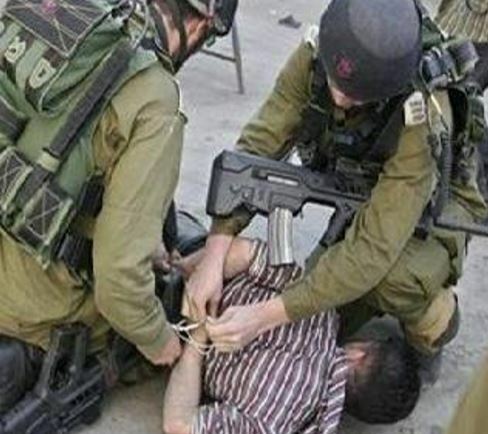 The IOF soldiers rolled into Nablus province and arrested three Palestinian youngsters. Sources based in Jenin said the IOF soldiers stormed the city and raked through its residential neighborhoods amid heavy discharge of bullet fire. 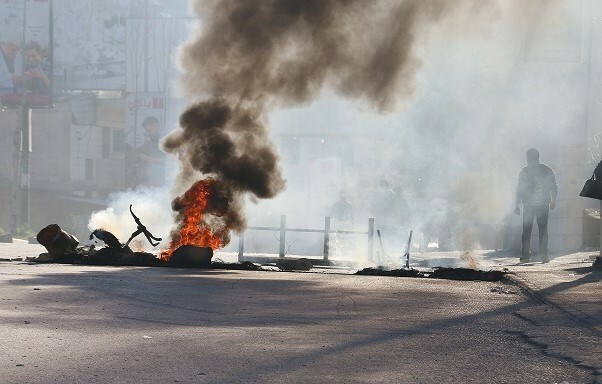 The IOF also pitched several military checkpoints across the entrances to Yabad town and wreaked havoc on civilian homes. Overnight, the occupation troops seized the vehicle of the Palestinian citizen Mussa Abu Tbeikh near the Hamra military checkpoint, in the Jordan Valley. Abu Tbeikh was subjected to exhaustive questioning in the process. Meanwhile, sources in the southern West Bank city of Bethlehem said the occupation troops opened fire on two Palestinian youths driving on the access road to Dar Salah town, wounding both of them. The injured youths were arrested shortly afterwards. Eyewitnesses said the IOF pitched a makeshift checkpoint on the entrance to Dar Salah town, in eastern Bethlehem, and cracked down on Palestinian passengers driving in the area. Blood and gunshots were detected on the youths’ vehicle. The IOF further kidnapped 15-year-old Hamza Hamad from Silwad, in Occupied Jerusalem, along with three more youths from the town. The campaign culminated in the abduction of 21-year-old anti-occupation youth Saadi Ali Abu Hamed from Alzeriya town on allegations that he stabbed an occupation guard in Maaleh Adumim illegal settlement on Friday. Israeli soldiers have kidnapped, on Sunday at dawn and Saturday evening, Thirteen Palestinians in different parts of the occupied West Bank, including two children in occupied Jerusalem. Two of the kidnapped were shot and injured after the army ambushed their car. 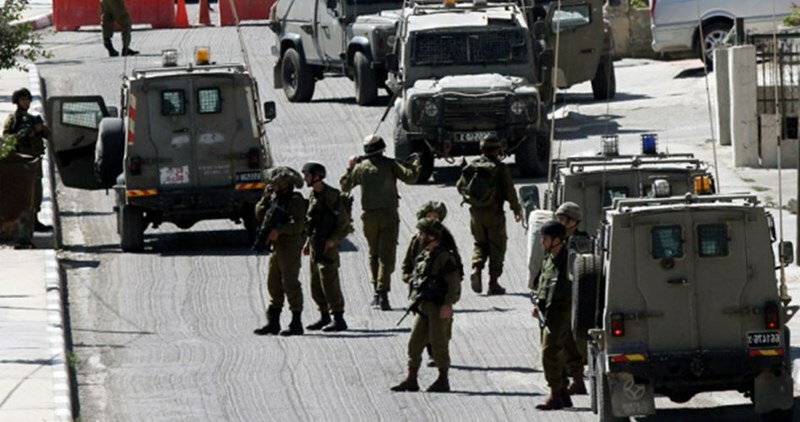 Media sources in Nablus, in the northern part of the occupied West Bank, said the soldiers invaded, on Sunday at dawn, the Old City and Street #24, in the center of Nablus, searched many homes and kidnaped three Palestinians, identified as Said Abdul-Hakim Dbeik, 23, Mustafa Mohammad Habeesa, 22, and Zakariyya Waddah Awawda, 21. 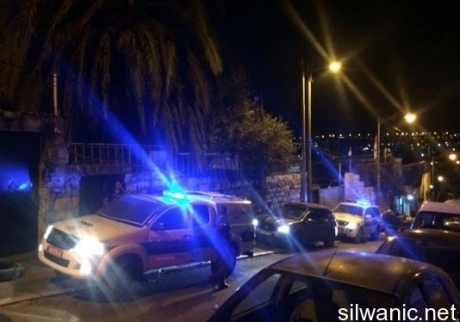 In addition, the soldiers ambushed a Palestinian car, in Qabr Hilwa area, near Dar Salah village in the Bethlehem district, and fired several live rounds on it, wounding two in their legs, and kidnapped them along with two others, who were in the vehicle. Their names were unavailable at the time of this report. In occupied Jerusalem, the soldiers invaded the al-‘Eesawiyya town, searched several homes, and kidnapped two children, identified as Yousef Darwish and his brother Laith, and took them to an interrogation facility. On Saturday at night, Silwan witnessed clashes between dozens of local youths and Israeli soldiers who invaded it and assaulted many residents. The army fired gas bombs causing several Palestinians to suffer the effects of teargas inhalation. On Saturday evening, several Israeli army vehicles invaded Qabatia town, south of the northern West Bank city of Jenin, installed a sudden roadblock, and kidnapped two Palestinians, identified as Amin Mohammad Zakarna and Nash’at Mohammad Hasan. In the northern West Bank district of Jenin, the soldiers kidnapped Odai Mohammad Dosouqi, from the Jenin refugee camp, and Mo’tasem Emad Darwish, from Mothallath ash-Shuhada village, both in their twenties, after stopping them on two military roadblocks installed on the main roads leading to their towns. In addition, the soldiers installed a roadblock on the Jenin-Nablus road, near Mothallath ash-Shuhada village, and fired several gas bombs and rubber-coated steel bullets at many local youths, who hurled stones on them after the army invaded the area. In related news, the Israeli police said it detained, Sunday, a young Palestinian man identified as Sa’adi Ali Abu Hamed, 21, from the al-‘Ezariyya town, east of occupied East Jerusalem; the army claims he was behind the stabbing of a mall security guard in Maale Adumim, causing serious wounds, overnight last Thursday. A score of Palestinians choked on tear gas at noon Saturday in clashes that erupted with Israeli forces in Yabad town southwest of Jenin city. Local sources told the PIC reporter that the clashes broke out near the main entrance of the town where Israeli troops were stationed and unleashing tear gas canisters at Palestinian citizens. Israeli forces detained some of the town inhabitants and questioned them in the field then got deployed in the southern district of the town, the sources added. The Palestinian youths closed the roads in front of Israeli soldiers amid stone throwing. Yabad town has been witnessing daily clashes with Israeli troops, the sources pointed out. The Israeli occupation forces (IOF) at dawn Sunday stormed Nablus city and kidnapped three young men from its neighborhoods. Local sources reported that Israeli troops aboard military vehicles entered al-Yasamina neighborhood and kidnapped two young men identified as Saif al-Debaik and Mustafa Habisha. Another young man called Zakaria Awwada was also kidnapped from his home in the central district of the city. The IOF also patrolled other neighborhoods of the city and some areas of Balata refugee camp, without making arrests. In a separate incident, Palestinian resistance fighters last night attacked an Israeli military watchtower near Ya'bad town, south of Jenin city, with an explosive device. 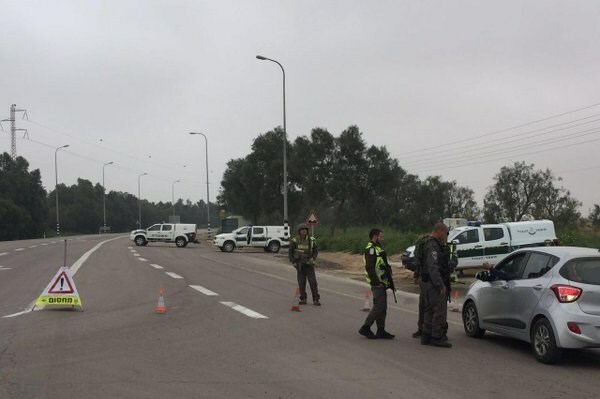 Eyewitnesses told the Palestinian Information Center (PIC) that resistance fighters threw a homemade bomb at a watchtower near the entrance to Mevo Dotan settlement in Ya'bad town and swiftly withdrew from the area. Afterwards, a large number of Israeli troops were sent to the area to participate in a manhunt for the attackers. Scores of Israeli soldiers also invaded, amid intensive gunfire, different neighborhoods of Ya'bad and raided homes during the search campaign Several military barriers were also set up on the main road leading to the town. 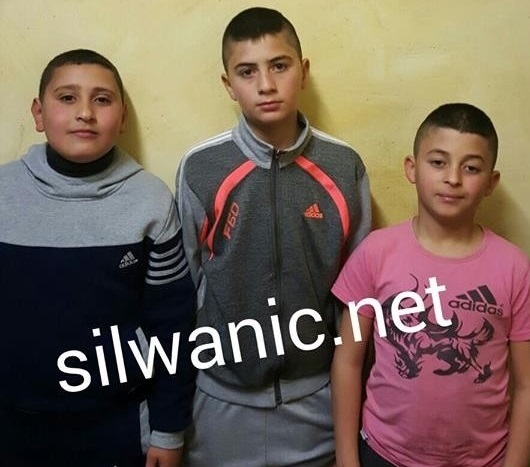 The occupation police released three children from Silwan after interrogating them for several hours on charges of throwing stones towards the settlers’ vehicle. Lawyer Mohammad Mahmoud explained that the police released 13-year old Mohammad Wisam Yaccoub Shweiki, 10-year old Abdullah Yaccoub Shweiki and 10-year old Mohammad Hussam Yaccoub Shweiki. The lawyer added that Amir and Mohammad Hussam were released unconditionally (under the age of responsibility) while Mohammad Wisam Shweiki was released with a third-party bail and house arrest for 5 days. Wisam Shweiki explained that the occupation police attacked the children while they were in the Abbasyeh neighborhood in Silwan and only meters away from their homes. 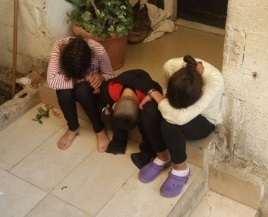 They arrested the children and transferred them to Salah Eddin Street police station; the family found out about the arrest through neighbors who witnessed it. Shweiki added that the children were interrogated for 7 hours and the interrogators made sure to psychologically pressure them during the interrogation to extract confessions to the charges against them as they questioned the children and kept asking the same questions over and over again in addition to threatening them and yelling at them; they were also pushed by the interrogators. 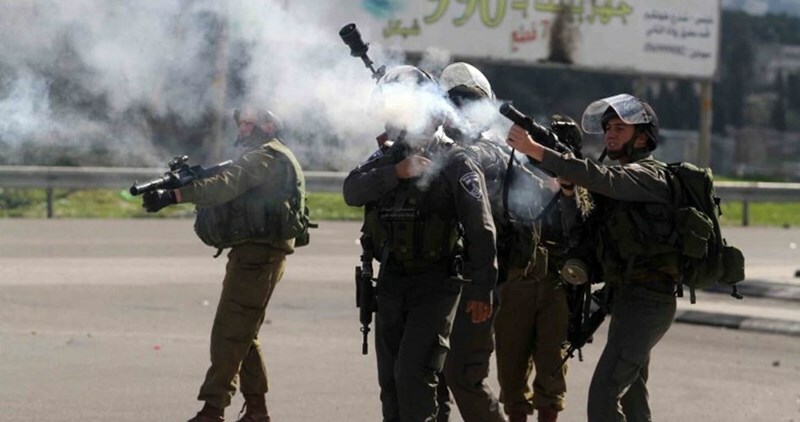 Several Palestinians choked on tear gas on Saturday afternoon after Israeli occupation troops and settlers rolled into Salfit’s eastern village of Yasuf. Head of the Yasuf village council, Hafed Abeyeh, said several settlers, escorted by occupation troops, stormed the village in an attempt to crack down on the Palestinian civilians and wreak havoc on their homes and properties. Clashes flared up shortly after the assault and culminated in several suffocation cases among the Palestinian protesters after the occupation patrols showered the area with heavy spates of bullet fire and teargas canisters. Eyewitnesses said the Israeli soldiers also sealed off the village entrance with a military checkpoint, where Palestinian vehicles and passengers were provocatively inspected. Clashes further rocked the Jenin-Nablus Street, in the northern occupied West Bank, following an ambush set up by the Israeli occupation soldiers. Three Palestinians were reportedly arrested in the area as they were driving a civilian car. The IOF further chased down and kidnapped an unidentified Palestinian youth at the Dutan checkpoint, in southern Jenin province. Israeli forces on Saturday detained three unarmed Palestinians suspected of crossing illegally from the Gaza Strip into Israel, Israel’s army and media said. 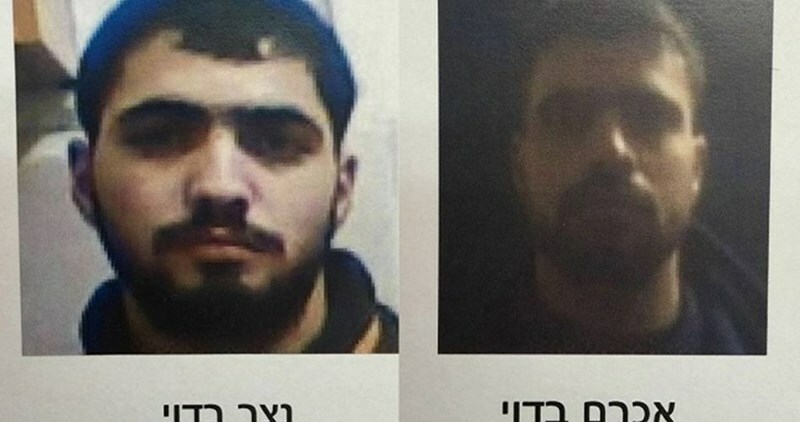 An Israeli army spokesperson told Ma’an the three were found during a search in Israel’s Eshkol area and taken for interrogation. Israeli military forces had reportedly opened fire on Palestinian farmlands when the search was launched following reports that individuals had crossed the borderline from the Gaza Strip to Israel. Witnesses told Ma’an that Israeli military vehicles patrolling the border opened fire on agricultural lands in Khuzaa east of Khan Yunis in the southern Gaza Strip, as well as east of al-Bureij refugee camp in the central Gaza Strip. No injuries were reported. The army spokesperson had no immediate information regarding the use of live fire by the forces, but told Ma’an they were looking into the reports. The spokesperson told Ma’an earlier on Saturday that forces “identified several indications” suggesting a possible breach in the security fence between Gaza and Israel. Israeli residents living in the Eshkol area near the Gaza border had been cautioned of the potential breach, the spokesperson added. Israel’s Channel 2 reported that large numbers of Israeli troops carrying out the search faced difficulty due to heavy fog covering the area. Israel has maintained a near-decade long military blockade of the Gaza Strip, upheld by Egypt, making movement in and out of the besieged enclave nearly impossible for the strip's over 1.8 million Palestinian residents. Several Palestinians have attempted to escape the dire conditions of the Gaza Strip by crossing illegally into Israel -- often to find work -- a number of whom have been shot dead by Israeli forces while crossing the border. Israel upholds strict security measures along the Gaza-Israel border that the international community has repeatedly argued have made the strip unlivable. The Israeli occupation forces (IOF) on Friday evening kidnapped prisoner rights activist Farid al-Atrash in al-Khalil city. Atrash is a resident of Bethlehem city and works for the Independent Commission for Human Rights. He was detained at the entrance to al-Shuhadaa street, where clashes were taking place between Israeli soldiers and Palestinian and foreign activists. The events started when soldiers violently attacked a peaceful march organized by Youth against Settlement and some Islamic and national factions to protest the closure of al-Shuhadaa street and to commemorate the 22nd anniversary of al-Ibrahimi Mosque massacre.